The wind is everywhere, in your back garden, in my back garden, out to sea, in the desert, at the poles, everywhere. Because of this, there is no need to import any fuel so there is no risk in transporting these fuels. It will never be exhausted as it is always being replaced by more wind. 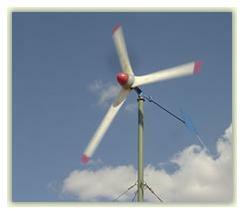 Wind doesn’t emit any by-products as it doesn’t use any material resources to begin with. Along with not throwing out pollutants into the atmosphere, wind power does not pollute the water with chemicals and other wastes. Because of the above, the environment benefits greatly because the actual air quality is far greater which will have a positive impact on reducing the amount of respiratory problems. There are no greenhouse gasses been released into the air, therefore lessening the impact of global warming. Wildlife in and around water will suffer less with pollution. There will be no chance of accidental spillages in transportation from place to place.